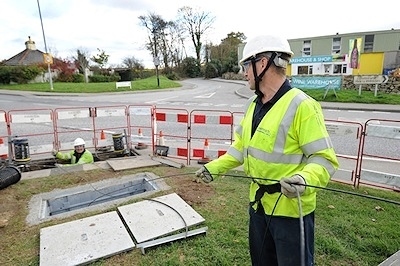 The Hampshire Superfast Broadband Programme in England has named the next batch (Phase 2) of 21 local communities that can expect to benefit from the councils state aid supported roll-out of BT’s superfast broadband (FTTC/P) services. A reasonably useful deployment map is also available. At present the joint deployment, which is also supported by funding from the Government’s Broadband Delivery UK (BDUK) programme, aims to make “superfast” broadband speeds of 25Mbps+ available to “at least” 90% of local premises by the end of 2015 and possibly 95% by 2017 with an imminent extension. It’s anticipated that, by the end of this month, the project will have helped to extend the reach of BT’s “fibre broadband” network to 9,000+ local premises in Hampshire, which otherwise would not have had it. The second phase will target a further 8,500 premises in areas of the New Forest and Test Valley between April and the end of June 2014. Overall another 56 of BT’s roadside street cabinets are set to be upgraded during the three months to June 2014 and it’s understood that the council, working with their neighbours in the county of Wiltshire, have also managed to bring forward delivery of superfast services for the villages of Woodgreen and Braemore in the New Forest by 12 months. On top of that Hampshire’s scheme is also one of the few to publish a reasonably detailed deployment map for the various phases of their project (phase 2 map), which does at least allow you to zoom in. As usual some of the areas above include infill (expansion of coverage in an area where FTTC is already present). Why Basingstoke? Big place. No chance it’s already covered by Virgin Media is there? Useful for BT to get subbed by BDUK money if it is. Basingstoke has long suffered from poor broadband, because BT exchange is in centre of town and the residential areas are on the perimeter of the town with very long line lengths in between – so in some ways it can be treated like any other rural area. Both the same – urbans as rurals, as it were, the old phone network cannot reach the entirety of the towns. Welwyn is only about 3.5km from centre to edge, too. Basingstoke always appears pretty well covered to me when I look, some or most of it is cabled, but not all. So I presume it either has lots of pockets of areas without cable, or lots of ex BT engineers who wouldn’t dance with the devil and want their broadband ultimately supplied by something to do with BT. Hampshire = 80% rural by geography but only 20% by population. I run a wisp in Basingstoke. There are a lot of holes in BT’s fttc footprint. But they have spent public funds overbuilding my commercial deployment in two areas. I am questioning why I am paying my taxes to fund the undermining of my own business. The whole thing stinks! That’s the classic in all of this. We now have the government looking around for how to spend the next £250m of cash. Having thoroughly walked all over all the altnets, the revelation that the government might get “better value for money” if private investment were brought to the table suddenly occurs. What it really means is that there has been a revelation that VDSL just won’t work “everywhere”, and the prices asked by BT to run fibre are hilarious, more than a brand new build from scratch as BT now close out that option. But now, the public money has gone on the most commercially straightforward areas where business cases could be built and where purely commercial deployments could and would have happened with a little tweaking of the original BDUK model. And there’s precious little money left to do the areas that were always potentially more difficult anyway. And, worse still, in these circumstances, the chances of getting private investors to jump in while still refusing to publish any kind of comprehensive coverage data for what has already been planned, is now pretty much nil. And, after all of that, how many fire optic broadband connections will have been built with public money? In the tens of thousands perhaps, if that? So we’re into Phase 2 now? I live in an area (NE Hants) that was clearly marked as Phase 1, with a completion date of end March. To date I’ve seen no survey work in the marked area, nor have I been contacted by BT to market their new service. Maybe because there is no “new service” to market? How can we believe anything this company says? We’re in North East Hants (Froyle). 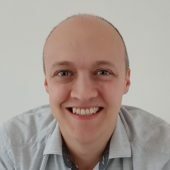 Some of Froyle was down for phase one upgrades and I must admit I thought this was going to be Q1 2014, but as I read it all back, phase one does appear to be “anywhere between now and end 2015”. That’s only for some of the village however. The rest remains “open to review” so any time until 2017. None of this is guaranteed, anyway. It’s only our money, after all. I live just outside South Warnborough Hampshire and am on the Long Sutton Exchange. Since half of South Warnborough village has been on Fibre broadband our service has deteriorated significantly with, on occasions, a download speed of 0.3Mbits. My mobile phone is faster than this!!! Does anyone know when the remainder of the Long Sutton exchange will get a faster broadband service? ?